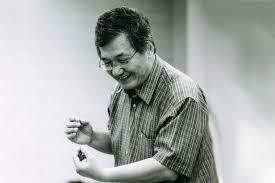 Kuo Pao Kun is often acknowledged as the pioneer of Singaporean theatre. Synopsis: Five Japanese spirits – a General, a Man, a Mother, a Girl and a Poet – recall their life experience in the Second World War. They are collectively thrown into turmoil in the process of recollection and recall, and in their wish to “make sense” of the war and its atrocities inflicted upon them, not only by the enemy but also by their own government and army. What moved me: Many things moved me about this work, least of all the bolt of shock when I realised the freedom that comes with the representation of spirits onstage. Although they will ultimately by tied by the corporeality of the performer, it allows the easy transcendence of time and space, as well as other limitations that come with liveness. The series of questions shock the Mother, the Man, the Girl and the Poet, first into stillness; then the stillness turns into severe trembling – finally leading them to emit an almost animalistic cry – as if their inner souls have been stirred and a long-locked beast of the wild is finally unleashed. Instinctively, impulsively, they begin to undress, revealing bodies painted in primal, savage colours. They all look the same. Tattoos bear individual designs of a unified primitive style. They show a lightness like spirits, an awesomeness like ghosts, an honesty like children, a savagery like beasts. And their personalities have been reduced to a basic commonality of primal instinct. The devastating image of a woman looking for her husband amongst the many thousand skeletons and, failing to find him, committing a funeral ceremony for each collection of bones.